You can blame the “Lord of the Rings” movies for a lot of things: the rise of the fantasy novel, the revival of Renaissance Festivals, the sudden popularity of New Zealand. And now, perhaps, the return of swordfighting. This isn’t fencing. This is bearded guys in armor wielding steel longswords over their heads. 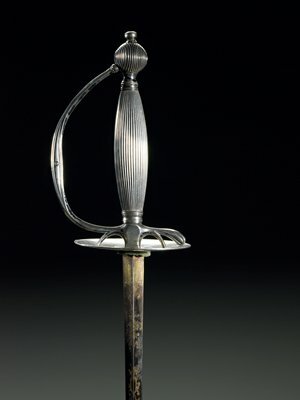 There are websites where they parse ancient swordfighting manuals and heatedly compare the German and Italian techniques. And there are tournaments—thankfully with unsharpened blades and blunted tips. “It’s a kind of prep school meets biker gang vibe,” says one longsword aficionado. Nothing unites, it seems, like being chopped with an anachronous slab of steel.